Obituary – Hodge, Leroy Glenn « Perry High School Alumni Association, Inc.
﻿ Leroy Glenn Hodge, 55, Perry, was found dead in his farm pasture, south of Perry Saturday afternoon, Jan. 16, 1999 by his long-time friend, Jerry Karcher. Funeral will be at 10 a.m., Tuesday at Christ Lutheran Church, Rev. Myron C. Maltz, pastor, will officiate. Burial will be in Grace Hill cemetery under direction of Brown-Sisson Funeral Home. Memorials may be made to the Christ Lutheran Church general memorial fund or the Perry High School Alumni scholarship fund. 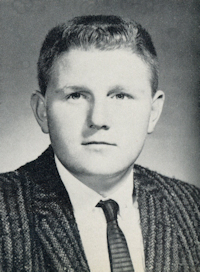 Hodge was born at Perry Jan. 6, 1944, the son of Glenn and Esther Hodge. He was a graduate of Perry High School. While in school, he won numerous awards in the FFA program and continued to receive awards from Perry and area community FFA programs. 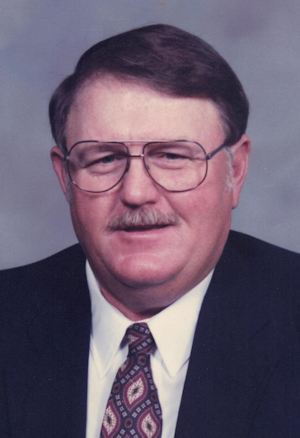 He was a member of the Limousin Association, American Quarter Horse Association, FFA Alumni Association, Perry High School Alumni Association and was a former board member and past president of the Noble County Fair Association. In addition, Hodge was an active member of Christ Lutheran Church where he served as an elder and usher. He and Yvonne Marie Baetz were married in Perry on Oct. 16, 1971. Hodge was a rancher and cattleman and had worked for Tenneco for many years. He was known and loved by the children of the Perry School System as their former bus driver and transportation manager. Hodge also was well known in the community through his association with Luster Real Estate company and the Sears store of Perry. In addition to his wife, Hodge is survived by his mother, Esther Hodge, a resident of the Villa Apartments in Perry; a sister and brother-in-law, Mary and Chuck Arnold, Edmond, formerly of Perry; brothers-in-law and sisters-in-law, Mr. and Mrs. Ronald Baetz, Perry, Mr. and Mrs. Donald Baetz, Poteau, and Jim Smith, Guthrie. Survivors also include nieces and nephews: Kim Arnold, Edmond, Mr. and Mrs. Toby Smith and Eric Smith, Guthrie, Mr. and Mrs. Jerry Potter, Red Rock, Mr. and Mrs. Larry Nowotny, Clarksville, AR, Mr. and Mrs. Cary Baetz, Richardson, TX, and Mr. and Mrs. Richard Folsom, Mr. and Mrs. Mark Baetz, Mr. and Mrs. Gary Baetz, Mr. and Mrs. Corey Smith and Mr. and Mrs. Kevin Arnold, all of Perry; and 16 great-nieces and great-nephews. He was preceded in death by his father and one sister, Sue Smith of Guthrie.